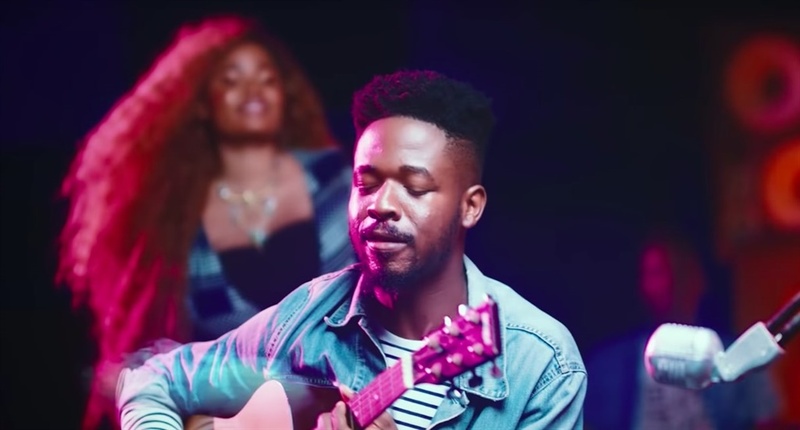 About a month ago the gifted Johnny Drille kicked off 2019 with two solid new tracks, "Shine" and "Forever".Now, the Mavin Records singer has come through with a heartwarming video for, “Shine”. About a month ago the gifted Johnny Drille kicked off 2019 with two solid new tracks, "Shine" and "Forever". Now, the Mavin Records singer has come through with a heartwarming video for, “Shine”. Although the self-produced "Shine" has some similarities to Johnny Drille’s past indie-pop singles it differs in theme. The song finds him crooning about having hope instead of falling in love. On the track, Johnny Drille reminds us not to dwell on the negatives, because there is always light at the end of the tunnel. "No forget say after rainfall and after the dark, the sun go shine", Johnny Drille sings on the infectious bridge. For the accompanying music video, which was directed by Clarence Peters, we follow a bunch of young people who find joy in a host of different things — from singing along to a great song, to laughing with friends after a long, hectic day.